This event is open to both men and women and must be booked. Venue: Education & Research Centre, Our Lady’s Hospice, Harold’s Cross. Eircode: D6WRY72. 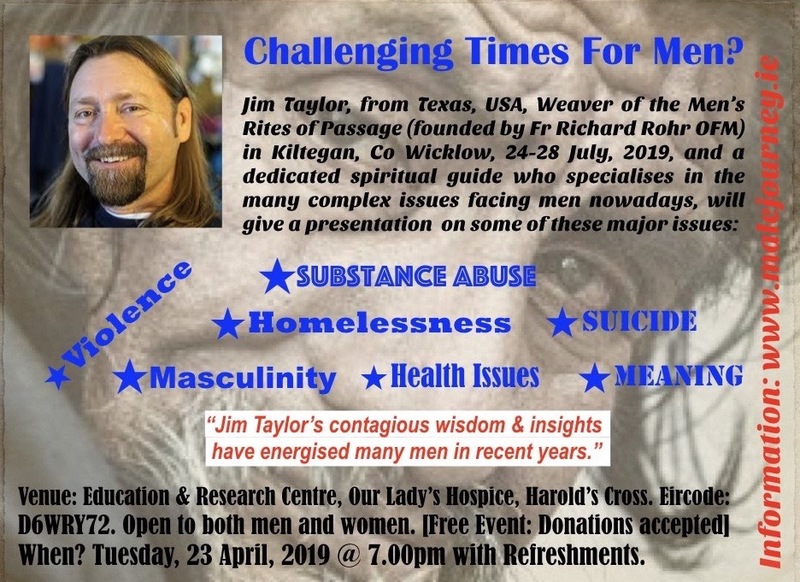 When: Tuesday, 23 April, 2019 beginning @ 7.00pm with refreshments.